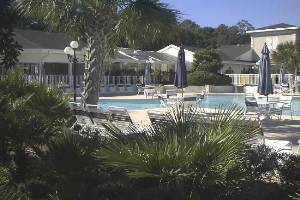 These luxurious resort vacation 1, 2, 3, & 4 bedroom condos rentals are located at Sea Trail Plantation and Golf Resort in Sunset Beach (1 mile from beach) and overlook one of the resort's three signature golf courses (Dan Maples, Willard Byrd, and Rees Jones). 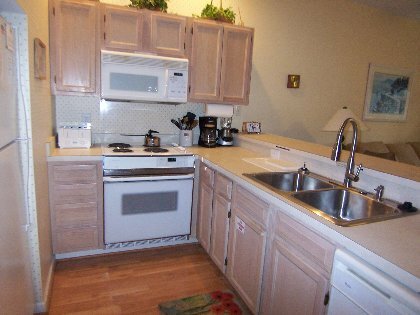 All condos have all the amenities of home (fully furnished kitchens, separate dining area, large living room with large TV and VCR/DVD, washer and dryer, etc.) and are great places for families, honeymooners, and vacationers alike. The condos range in size from the 900-1,100 sq.ft. one bedroom villa to the 2,400 square foot four bedroom, four bath unit. Some units have king beds in at least one bedroom and most have 2 full beds per bedroom. 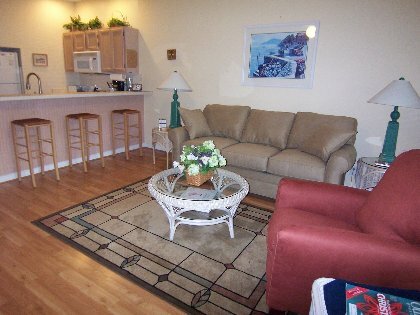 The condo pictured in this ad is located at beautiful Sea Trail Resort in Sunset Beach, North Carolina. Sunset Beach is the smallest of the South Brunswick Islands. It's a mere three miles of pristine beach on the southernmost part of North Carolina. The island is accessible by one of the few remaining swing bridges in the U.S. The mainland community is equally beautiful and unspoiled. The pace is slow; yet we're just 45 minutes from Wilmington, and 20 minutes from Myrtle Beach -- so there is plenty of nightlife and shopping (outlets, scores of restaurants, and live-entertainment theaters). This condo has everything you'll need for an unforgettable vacation. The fully equipped kitchen is stocked with spices, soaps and trash bags. 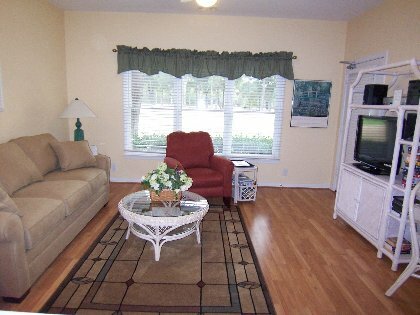 The comfortable living room and screened porch overlooking the lush, green fairway is very relaxing. Books and movies are available for guests' enjoyment -- and are great for those times when you just want to kick back and relax. And a restaurant guide (with menus from local restaurants) and activities guide takes the guesswork out of dining out and activities to enjoy. The area has restaurants featuring Thai, Indian, Chinese, Greek, Italian, German, Japanese, Jamaican, French, and Australian cuisines. Major restaurant chains are also available including Subway, Fuddruckers, McDonald's, Hardee's, Outback Steakhouse, K&W Cafeteria, Jackaroo's, Bonefish Grill, Carrabbas and Bob Evans. Traveling to Sunset Beach is easy via Interstate 95, Highway 17, and Interstate 40. Approximate driving times/distances from various cities are: Charlotte, NC -- 4 hours; Greensboro, NC -- 4 hours; Raleigh, NC -- 3 hours; Washington, DC -- 7 hours; New York, NY -- 12 hours; and Pittsburgh, PA -- 12 hours. Moving or relocating to the area and need accommodations for several months while your new home is being built? We can help. Call the toll free number for more details. You must be at least 25 years old or married to rent this condo. Pets - Some of our units are pet friendly. However, we allow pets in select units only and these units are limited. Dogs must be at least 2 years old. We also have 1, 3 and 4 bedroom units. All units are non-smoking. 4 beach chairs are included at no charge. High speed secure wireless internet access is available for a nominal fee. Many dinner theatres--Alabama, Medieval Times, Dixie Stampede, Legends, and more. This will be our fourth year staying at this beautiful Sea Trail condo.! We stay for four weeks every spring and wish we didn't have to go home.The condo is beautifully furnished, and has an extremely well equipped kitchen.The pictures and descriptions are very accurate. Gerald always works hard to make sure we have everything we need.Our vacation seems to be important to him and we appreciate that.What can we say about the beach! Gorgeous,especially the Bird Island protected area , where there are no houses! The golf is great. Sea Trail is beautiful, the pool and fitness area immaculate. Everything we need is close by, grocery stores, banks ,quaint one of a kind shopping. No big box stores here! Although you can drive into North Myrtle Beach for those. Our favorite restaurant is a lovely family owned restaurant called Roberto's just a 10 minute drive from the condo. Anything else you want to know just ask Gerald, he's a wealth of information!! Our family and I have stayed at Sea Trail for two summers in a row. We have three children, ages 15, 12 & 9 and there is something for everyone! The accomodations are wonderful - very clean, an equipped working kitchen, comfortable sleeping arrangements, and ample closet and living space. We have used Oakley Real Estate to reserve our units and have always been very, very pleased. Gerald Oakley is very organized and provides us with every bit of information necessary to make our vacation care-free. The price for the unit is more than fair. The beach is clean and family friendly. There are numerous shows and attractions within driving distance; yet it doesn't feel like you are overwhelmed with "vacationers". Our family highly recommends Sea Trail Resort and will certainly be going back this summer. We booked this vacation completely online without seeing the property or having any other referential information. We have never done that before and frankly, were concerned about the "safety" of that approach. We have never been to the Carolina's but had heard about the beaches, attractions, and activities. We were definitely pleased with everything, from the inital contact, the reservation process, outstanding location, amentities, cleanliness, and surroundings! The location is superb. We were very close to the beach yet close to the major highways, enabling us to visit many of the areas attractions. The beach was phenomenal. Clean, beautiful soft sand, warm ocean water (important for some of us "northerners" who are used to cold New England water), friendly people, and just so relaxing...and the waves! 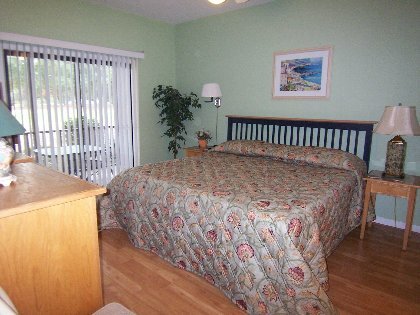 The condo itself is in a great location, has beautiful grounds, walking routes, a fitness center and indoor/outdoor pools, very quite and peaceful. 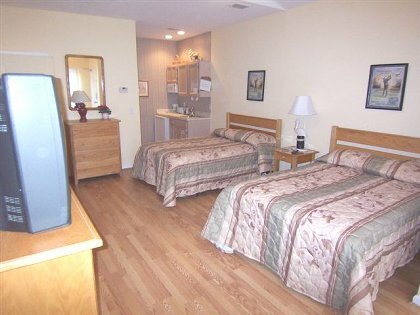 It was clean, amenities were excellent and it was easy to get settled in. The week went by in a flash and we enjoyed every minute. We would recommend it for anyone who loves the ocean, golf, shopping, restaurants, just about any activity you could think of. I would highly recommend this property. Everyone should be able to find an activity or attraction near the condo. Or, if you're just looking to get away and do nothing, this is also a perfect locale. Can't wait to come back and visit again! Our family has rented from Gerald Oakley for the last 4, maybe 5 summers. We have been extremely happy with the service, the accommodations, and the area around Sunset Beach. There are plenty of activities for families to enjoy no matter what the age. Our son is 10 and really enjoys having the pool and golf course close by. The property is also a wonderful place to walk or ride bikes. We highly recommend renting with Gerald. Our family has stayed at Sunset Beach for the past four summers, and it truly feels like our home away from home only better. The owner has been wonderful to work with. The condo has always been clean and well maintained. Sunset Beach is very non-commercial, which we love, but within 15 minutes you can be in Myrtle Beach which has all the shopping,restaurants, and activities you could want. We even found a place to ride horseback on the beach. The beach is beautiful and very family oriented. We have enjoyed our month's stay here. 'The natives' tell us that this was the coldest February even but we found it to be a very pleasant change from our Canadian winters. There is so much to see and do--we hope to return next year for even longer. Thanks. The resort was the perfect getaway for two young couples with children. The accommodations were wonderful. We couldn't have asked for a better place to stay. The weather was 85-90 degrees (F) every day--perfect when you are toting toys, snacks, floats, and everything to keep a 71/2 month old, 18 mo. old and 2 yr. old content on the beach. Thanks so much. Sea Trail is a great vacation spot, not to mentions a great value. Had a terrific stay--thanks for making your condo so comfortable and welcoming. Sunset Beach is certainly a relaxing place to be. Eat at the Sugar Shack. We had a great stay and the weather cooperated most of the time (November). 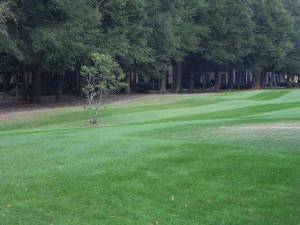 It was a great location to be--near the pool, golf courses, tennis courts and so much more. It's really nice that we could bring our pet also. So much fun at Sea Trail, your condo, beach and much more. We'll be back. This was our first visit to Sunset Beach. We absolutely loved it! We've stayed at Myrtle Beach many times before but never up this way. Loved being on the golf course and the condo met our every need! Thanks so much. We will be back. Second visit to Sea Trail and had a wonderful time at Sunset Beach. Found a new place to get deli and pastry--Calabash Deli beside Callahan's in Calabash. Look forward to staying in one of your pet friendly units next time. We had a great time. 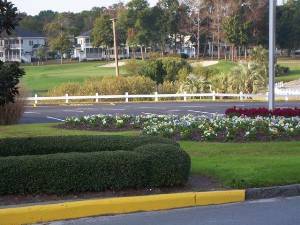 Enjoyed the beach, seafood, shopping in Myrtle Beach and lots of golf--Calabash Links, Sandpiper Bay, and the Maples, Jones, and Byrd courses at Sea Trail. Looking forward to coming back. We've been to other beaches in the Carolinas and this area is the best! The condo met all of our needs, it's quiet, relaxing and we had fun watching the golfers. Thanks so much for a great vacation! We can't wait to come back. A wonderful week!! Great golf courses at Sea Trail. Thanks for all of our help in making our stay so pleasant. We thank your for an enjoyable week here at Sunset Beach. We met very nice people as walked though the neighborhoods. The bartender and hostess at the Tee are friendly and welcoming and eager to share in conversation as we listened to good music Friday and Saturday evenings. The beach days were some of the best we have ever had. Til next time! This is the most relaxing vacation we have had in years. The beach was beautiful. The Medieval Times was great and Jay was knighted for his 50th birthday. The condo was great. Thank you very much. We also own several 1, 3 and 4 bedroom condos. Rates include applicable taxes, departure cleaning, WiFi, linens and utilities. Deposit: A $300 deposit or 30% of the rental amount, whichever is more, is required to confirm your reservation for weekly rentals. A deposit of $100 is required for 2-3 day rentals. The balance is due 30 days prior to your scheduled arrival or payment in full is due at time of confirmation if less than 30 days prior to your arrival. Personal checks, Visa and MasterCard are accepted. Cancellations and Refunds: All monies will be refunded if the unit can be rented to someone else for the same rate. Other Fees: Pool and workout room are available to our guests for a nominal charge. For a family of 6, this charge is $80 per week.